A head full of curls makes a stunning fashion statement, but how do you get your hair from dull and wavy to super curly and shiny? Anyone can do it with the right tools and a little bit of knowledge about hair. 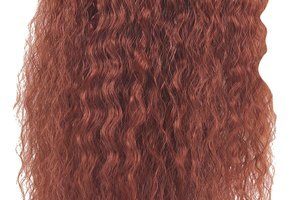 Clean, moisturized hair is the best canvas for creating a super curly look. From there, you add a few products and techniques, and you'll be good to go. Always remember that when you are wearing your hair in curls, you should keep your hands out of it as much as possible to ward off frizz. Wash your hair with a curl enhancing shampoo and a moisturizing conditioner. Curls need extra moisture in order to look healthy and not frizzy. When you get out, gently towel dry your hair by dabbing and scrunching it with the towel. You want to keep as many of your curls intact as possible. 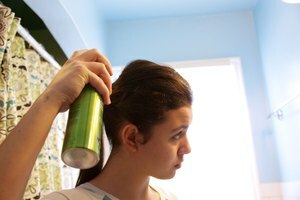 If you start throwing your hair around and rubbing at your head with a towel, you will instantly begin to create frizz. Use an anti-frizz serum. Begin working it into wet hair from the roots to the tips. Once this is applied, you can also work a curl enhancing gel or cream into your hair. Try not to use something too drying, as this will also cause frizz. Flip your head upside down and begin scrunching your hair to form more curls. Flip your head back upright. You should have a head full of curls. If you have loose strands, wrap them around your finger to reset them. From this point on, you want to keep your hands out of your hair as much as possible. Use a blow dryer on a low setting with a diffuser attachment to dry the hair. Do not dry your hair all the way, just about 75 percent — this will protect against frizz. Wrap any limp strands around a hot curling iron for a few seconds to restore or create curl. Apply a finishing cream to add hold and shine to your curls. You can also set them with a light coating of a flexible hold hairspray. If you have hard to curl hair, try experimenting with hot rollers or chemical perms. They may be your best solutions for super curly hair. Try wrapping half inch segments of your hair around straws, securing with a bobby pin and leaving over night to make really tight, really small corkscrew curls.